Despite the growing numbers of homeschoolers, homeschooling is not a mainstream choice. As a home educator, you are already an oddball in the realm of general society. So when you find a homeschool support group of real life people who have also made this radical decision, it feels like finding a family where you fit in. Until you start to talk to these new homeschool friends and discover that you are again an oddball even within your homeschool circle. No one else seems to hold to your homeschool philosophy or practice, and you realize just how different you really are. No, we don’t use textbooks or a boxed curriculum with a neat label. Yes, I think Teaching Textbooks is “enough” for math. Yes, I still read out loud to my eighth grader. No, we don’t have a rigid schedule. Yes, this field trip is our school today. We don’t go home and do workbook pages in addition. Yes, I spend tons on art supplies and art lessons but prefer to do our own science labs at home. I don’t consider myself an unschooler. But in contrast to the homeschoolers around me, I feel like one. And a very oddball, freaky one at that. You see, although on my blog I have hundreds of readers who appreciate my style, in real life I am a homeschool oddball. By nature, I’m not one to be overly concerned with the perceptions of others. I’m fine with following my own path and ignoring the reactions of those around me. On my own, I’m very confident in my choices. But sitting in a homeschool group as the lone oddball can make even me question my decisions for a split second. Then I get home and see my Emma surrounded by her colored pencils, listening to an audio book, and I know that we are on the right path. Doing traditional school at home would destroy the essence of this creative child almost the same way public or private school would. I truly believe that in education, “Imagination is more important than knowledge.” Einstein said that. He was a brilliant man who did poorly in rigid, academic settings. Knowledge certainly has its place. It is a foundation upon which to creatively build and explore. But it is those with imagination who truly live and who make life better for others. Maybe the path of imagination and creativity is a very narrow one, one that only the oddballs can walk. 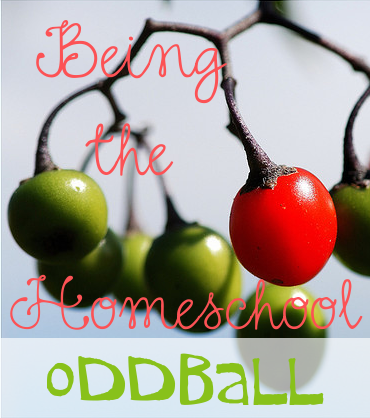 Do you feel like a homeschool oddball? How do you cope when your IRL homeschool friends do not follow your same style? I like that you can find common ground with so many people, Cindy. I am like that in many things, but homeschool seems to draw this line in the sand for me. Or maybe I am just surrounded by very traditional homeschoolers. Nope, none of my real-life friends get how we do things. They are very much more structured, more textbookish, with tests to assess learning, etc. Which of course is fine if it works for them, but I know they mostly don’t “get” why we do things the way we do. And that’s ok. But I sure am thankful for the internet homeschool community, too! Oh, how I agree! Without the Internet I’d feel so very alone. Testing co-op throws me. That is the wildest mix of people I don’t really know who homeschool differently from what I do. I’m more structured than some, and use weirder books than others. I don’t follow Charlotte Mason purely, I rely a lot of SWB, my kids don’t read fluently until really late, and we are all math geeks here. I also get most of my inspiration from catalogs and internet, and not so much the state convention. Sometimes skipping the support group meetings IS an encouraging thing to do! As I said in my email to you, you have a very wise husband! Julie, this short comment really hit me. Thank you. You are right. My own perspective has mellowed considerably since the early days of homeschooling as I’ve learned to trust the process. Thanks for reminding me of that. We are all on a journey. We all need to give grace as much as we want to receive it. I am so blessed by the group we hang out with. I have a few core friends I see often, through a group called Grace Girls one momma started and there are so many styles in this group! One mom prefers to find as many classes for her kids as possible, 2-3 use Classical Conversations, one is very un-schoolish, one is very textbook-ish, and I homeschool my daughter very much like you do, Jimmie. Maybe we are an unusual group? Having trouble… just wanted to add that even though our group is so different, we are so good at supporting each other and sharing ideas. Of course, all our girls love each other so much, so maybe that’s the key for us? Lynn, I am so blessed to hear that you have that support. And I think the key is that you are friends. There is a bond there that helps you overcome the differences. So happy for you! Let’s hear it for the loosely structured homeschoolers! I used to feel like the oddball in real life homeschooling situations and often had to remind myself of the similarities as well. It got worse when my kids hit high school age because everyone was sending their teens to school or at least following a programme to gain nationally recognised qualifications to get into university. We opted to do our own thing and trust it would work! But it was hard to be the only one and to loose contact with friends (mine and the kids) because they were too busy with assignments/study/exams/school. People really questioned our decision to gamble with the kids’ future which sometimes caused us to second guess ourselves. But now that the oldest two are safely in university and doing really well I can relax again. Yes! This is precisely what I’m facing at the moment: this pressure to enroll my daughter in all these outside classes. No, that is not going to happen. Not now at least. I need to write a whole post about that! Yes, I am definitely the oddball in our group. Since moving, I am part of a new group and just went to my first homeschool mom meeting. Without others knowing, I left in tears and cried on my way home. Yes, I am different than they are. We do things differently than a lot of the others. My husband and a dear friend, both reminded me that we are doing this for our children because of who they are. They do learn differently. It is okay if we are different. We are doing what God wants us to do. Oh, Joy. How terrible. I am sure those other moms did not intend for you to feel so discouraged and alone. What a shame. You are not alone. And you are doing a great job to stick to your guns on what you know is best for your family. YES! A group for homeschoolers has just formed in my town and I can totally relate to what you’re sharing. We don’t have a schedule either and I don’t lesson plan. We’ve switched to just Life of Fred for math and people are stunned when they hear that. It’s so nice to hear there are other oddballs out there. Becca, you are not alone! I am so thankful that we have Internet support even if we don’t have those who school like us in person. We live in a blessed time. It is easy to see the differences as a bad thing… but if you can choose to see them as a positive, then you will be blessed! For there is no one just like you, therefore there will not be another homeschooling family who does things just like you do. I am just getting started, and have not really settled on a “style” yet, but am leaning more toward the eclectic, almost-unschooling style of living a life of learning all the time, instead of “school at home.” The homeschooling moms around me are far more structured, but I am trying to remember not to compare myself to them in the homeschool realm just the same as I try not to compare myself to them as a wife, a mom, or a Christian – each of us must do what God is leading us to do in our families, and not try to copy someone else. Thanks for this post… great topic to tackle! Your blog is great, and I also follow you on Pinterest. Blessings to you and your family today! Amy, what you’ve written here is so wonderful. I agree totally. Those homeschool meetings are a challenge to my resolve not to compare. But you are totally correct! Oh, my heart breaks to think of moms leaving homeschool meetings in tears. That is just not how it should be. Road schooling sounds amazing! Who doesn’t dream of living in an RV and touring America? Oh, well, maybe some don’t. But I do! Road schooling does sound like so much fun. A friend of mine did just that a couple of years ago, with her husband and 5 kids in an RV. They hit many national parks and historical sites and she blogged about it along the way. I would so love to do this! Since they’ve been home they’ve added another little girl to their family and are contemplating a similar trip to Europe! Thank you, Karen. It’s funny how many of us feel like oddballs. I guess there really are no oddballs when you look at the big picture. Ha ha, Phyllis! I’ve never done a “day in the life” post because I waver between thinking our normal days are way too boring to questioning if we have a “normal” day. We do not get up early. In my view, that is one of the most blessed aspects of homeschooling. We don’t have to, so why? I don’t think it’s a matter of discipline. We can all get up early when we want to or need to. Our culture has labeled early risers as industrious and late risers as lazy. That’s not true. So I’m used to being the odd one out, the one who thinks/does differently. In fact, I stopped attending homeschool support group meetings for that very reason. I get all my support from my internet friends around the world! 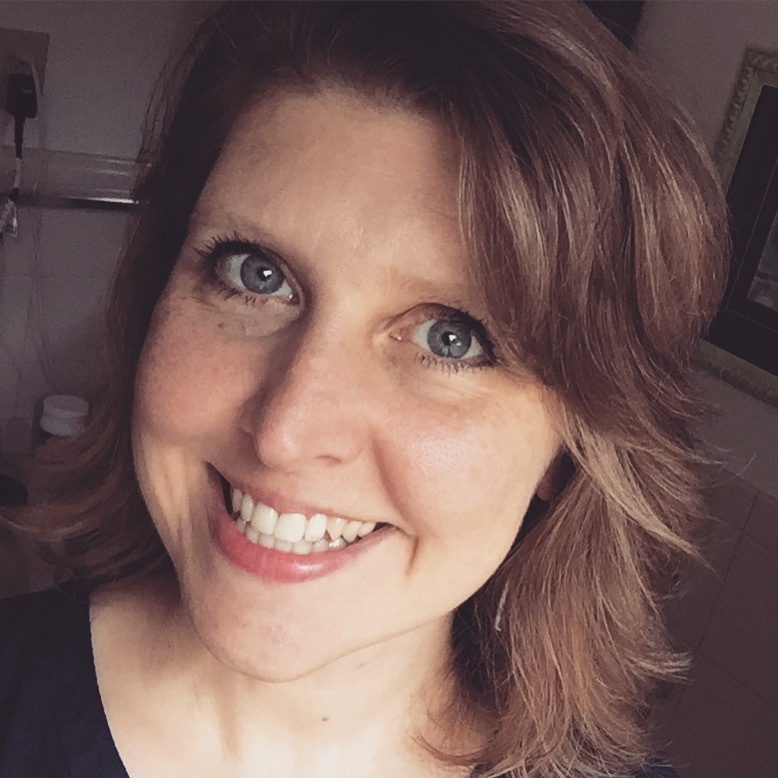 I have never fit in anywhere…so even around other homeschoolers I rarely talk about the nuts and bolts of what we do unless they ask. This year is different though since I have one friend that is homeschooler her 8th grader and we are totally in sync. Love it. We are still oddballs with Mr. A not officially enrolled in college yet even two years after graduation. He is still learning and exploring (mostly from behind the controls of an airplane) but I am not worried. Mr. B with his gap year schedule really bucked the norm around here but it has been the best way to do things for him. You would fit right in with our group, well with me anyway. I couls have written this about us. I’m the oddball, however, in that I don’t follow any kind of strick diet, I don’t grind my own wheat, or grow my own vegatables, and my kids play video games and watch TV. I get a lot of dirty looks for those last two. Ha ha! I’m not a fan of TV, but my daughter does enjoy computer games. You know, it’s like anything. If you forbid it and make a big deal about it, it becomes a power struggle. I allow it. I am an oddball for different reasons. There are so many families around me that appear to be more free and relaxed. I am very structured and can be rigid. I feel very much like the oddball and it can be lonely at times. Even though I’m surrounded by other hs families we are each unique. And there’s nothing wrong with being rigid if it works for you. I don’t mean to criticize that way of learning. It is not what I have chosen because it’s not what is best for my child’s temperament and giftings. I am sorry you feel like an oddball. It is really a difficult place to be. Hugs. I continue to be thankful for the things you post about, Jimmie. I do sometimes feel like an oddball, but the homeschool group I am part of is very diverse. When I start to feel too structured, I can think about friend A. When I feel like I am being way too loosy-goosy, I can think about friend B. Mostly, it helps when I can get enough distance to ask myself what kind of homeschooler I want to be and what kind of homeschooler my children need me to be. We are currently in the throes of moving from a home we have lived in for ten years, so I have been feeling like such a homeschooling failure as I pack boxes and skip math lessons here and there. This post reminds me that I don’t need to worry about getting behind. They have years to go – and much left to learn, as do I.
Shannon, I know all about homeschooling during a move. (And some of those moves for us were traumatic.) Really, it will be okay. It is a season. You can “catch up” for lack of a better word. Other lessons are learned. Don’t add to your existing stress by worrying about how the move distracts from school. Use your energies to focus on setting up your home with your full attention. Then you can focus on homeschooling wholeheartedly. Jimmie! Thank you for this post. You just confirmed a lot for me in this one post. A lot of my anxieties stem from being the oddball. I didn’t plan it this way. I’m the only one and first one, within reasonable generations, on either side of my immediate family to homeschool and that alone can feel odd. I am exploring Teaching Textbooks and that’s ALL I plan to do for math, of course we will keep in line with our living math approach with fun activities. My sons are happy and when I try to be all schooly on them, they shut down. They are creative and I often get nuggets from God just in the things they say. I know it’s worth it all to have them home. This has been an eye opening week for me. I’ve never really had a strict schedule where we couldn’t just leave it and come back later and I am glad about it. My kids have a fit when we miss nightly readings! I love a good field trip! Love the post and might just print it for the fridge. I loved your comment, Pam! I agree with your totally about nuggets from God from our children. Wow, my Emma says some amazing things. And to print this and put on the refrigerator! What a compliment! Thank you for this post! Now I don’t feel like I’m such an oddball myself afterall. I don’t homeschool the way most people do either, and sometimes it makes me feel like I’m not doing it “right.” I’m a homeschool rebel I guess you could say. I think it’s interesting that though we are choosing to go against the grain by homeschooling in the first place, we still feel that pull to be on a bandwagon so we fit in. I agree totally. Homeschooling is already a tough enough choice — to go against the grain. Then when you feel like a freak within that community, it can be a bit overwhelming. My youngest child is now a senior in our homeschool. 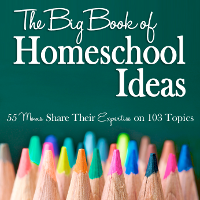 When I started this homeschool journey 18 years ago I bought Abeka…teacher books and everything. For my then 2nd grader. (And I have a degree in elementary ed!!!) I was so unsure of myself. If I could go back knowing what I know now I would most definitely do things more your way. I wish I had checked into Montessori methods and saved my $$. As it is, every year I’ve done things more and more my own way. Too bad it took 18 years to get to this point. I think it is awesome that you are comfortable in your homeschool. Looks to me like you are doing a great job! Here’s a link you might like to watch. It’s long, but speaks from a creative mind that works outside the box when referring to finding creative academic excellence: the intro is 5min. and the speech begins then. The Starry Night speech is good too. I prefer to use “eclectic”. Ok, and maybe eccentric as opposed to odd (so much more colorful) LOL 😉 With much love, sisters. One thing I suppose I do sometimes feel like the oddball about is with my son and sports. I sometimes feel I’m the only one that doesn’t have her son (he’s 8 yo) in some sort of weekly sport with practices and games. He’s just not that interested in team sports and prefers scooters, bikes, and trampolines. He takes guitar lessons, is a Cub Scout, our co-op classes, and we have regular playdates, which is enough I think. Thank you for all you do! I love your blog, great printables, and ideas. I find that whenever I am asked, “what do you use?” I want to just change the subject. I just say Charlotte Mason to be simple. But we are not even fully CM! Most of my friends send their children to a college prepatory private school. So you can imagine I stay away from the subject of education as much as possible. I am glad my friend tagged me in this post. I have a major in early childhood and in elementary education. I was certified k-6. I have had people tell me, “well, you are qualified to homeschool, but most aren’t.” My response is that every mother is a teacher and actually my degree was based on mass education and actually hindered me the first year. I am so thankful to have the opportunity to give my children a unique education. I do feel like an odd-all, even though I probably don’t look like much of an odd-ball to most home schoolers. This is why I don’t WANT to be part of a co-op or home school support group – I never seem to feel supported by other home schoolers. As a former public school teacher, I am having to un-learn a lot of the stuff I was trained to do in the classroom setting. I want to be supported in that, but find very few people who are able to do it. Most of them are talking about standardized test scores and curricula and such. I need to hear less of that kind of talk, not more. You know I’ve always got your back! I’m an oddball everywhere! I haven’t belonged to a homeschool group in over 6 years because I just don’t fit. We are more relaxed homeschoolers. I’m not big on grades or testing. I’m the oddball at church because we are the only large family, (we are expecting our 8th baby in Feb.). I’m the oddball in our subdivision because were are a large homeschooling family. I’m even an oddball in my own family. I am just starting to accept the fact that taking the path God has set before my family is different than others and that’s okay. I almost cried when I started reading your post. I have been experiencing this and really struggling. Thank you for expressing my heart. 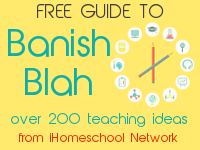 BTW I can’t imagine homeschooling without your lenses and blog, they have been very helpful! The straw that broke the camels back was my daughter’s 1st grade grammar book. (I bought it b/c I was afraid she was behind!) When I referred to a concept from those pages, my daughter didn’t seem to remember much of it. But she remember just fine the concepts that came up in our reading and conversations. So I began dreaming, praying, and googling for something “different” for my children….something with a sweet flowing structure and had lots of creativity and freedom…..that organically springs from our life. This is how I found you. I don’t typically talk about what we’re doing with school, but when I do, there seems to be a confusion that curriculum-less somehow means resource-less. So not true! Thanks for pioneering the way. 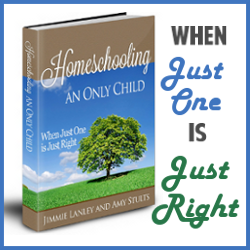 I so feel “ALONE” and “DIFFERENT” from all the other homeschool families I know. I don’t do co-ops, I don’t give tests either, I don’t use any specific curriculum, I don’t follow a schedule, some days we may do 2 hours of school others 4 or 5 hours. When I listen to the other moms talk, I feel like I am doing this all wrong. I am doubting if I am giving my daughter a proper education and am failing her. She assures me she is fine and she is learning. My daughter is in 7th grade and we have only been at this about a year. We are getting ready to do our first round of testing required by the state, so I guess that will tell me how well we are really doing.